Initial CLOUD CITY research here. Sustainable urban planning is the new trend. It is clear that there is a global climate issue, and everyone wants to take part (or look like they’re part), of the solution. Urban planners and architects are seen as critical players in the game as cities and buildings are directly intertwined with our everyday lives, which, as most environmentalists will suggest, is the first place that changes need to be made. The truth however is, it isn’t very clear what the most appropriate approach to sustainable designs. There are countless ‘green’ best management practices (BMPS) that work to modify existing urban processes in a ‘green’ or more ‘sustainable’ way, but is that really what sustainable planning is? Recent research published by the urban institute * suggests that the carbon emissions produced through north America’s current car based lifestyle considerably outweighs those ‘sustainable initiatives’ presently being focused on. Does a new radical approach need to be adopted to solve this issue? Or can existing design practices simply be ‘greened’? The issue obviously isn’t’ clear, however as the latter seems to fall in line with the status quo, we’ve seen great initiatives in urban centers worldwide in adopting these ‘green modifications’. Over the next few years the most successful green standards will start to emerge and will be incorporated into the most basic of urban planning policies. In rapidly developing countries/economies, where there is a desire to create entirely new urban centers, new approaches can be taken to make cities more sustainable. These examples provide a good experiment, and a means of identifying whether existing traditional urban centres can be ‘completely’ sustainable and new design principles can successfully make a truly ecological city. The aim of this project is to try and flesh out the key elements of a sustainable city. Admittedly a challenging task, considering how young the whole urban sustainable development movement still is. The project will work towards identifying what we think are the most practical and functional methods of realizing sustainable development. We will do so by looking at existing ‘sustainable’ design initiatives and identifying their value, examining the rationale, and trying to apply it in urban design. 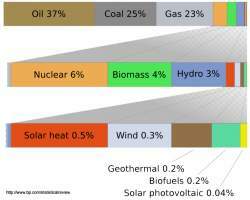 When most of the worlds energy consupgtion comes from fossil fuels, the global ebergy issue is very clear - it cant happen forever. Thinking of planning around energy systems. Understanding energy systems can help provide us with new ways of understanding the urban environment and it can be effectively used to help guide development. The idea is linked with the larger global sense, that any energy used is tapping into a limited global supply. Using less is therefore better for the earth. Thinking of planning around ecological preservation. The Idea that the natural environment is in fact the best environment for life’s sustenance therefore, the closer we facilitate 'natural' environments the more sustainable they are. With this logic in mind, the more the earth is left to its ‘natural’ state, or the more our developed canters can mimic and accommodate the earths natural processes, the more sustainable planning w ill in fact be. -work to both save energy and protect environment. Use Local Materials: Whenever possible, a building materials should be used in building construction, reducing transport costs, and contributing to direct local economic benefits. Salvaging Buildings and Products One of the most effective means of reducing new materials use is remodeling or adaptive reuse of all or parts of existing buildings. When feasible, this is often a better environmental option than demolition and recycling, and helps preserve the history of the neighborhood. However, the energy consumption of existing buildings should be carefully considered when assessing the environmental merits of a project. Major renovations are the best time to incorporate envelope upgrades such as improving insulation, installing high-performance windows and sealing air leakage. 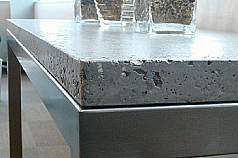 In some projects, valuable materials salvaged from demolition can be used in the new design, avoiding the waste and pollution of new production. If there are no salvageable materials available from the site, they can be purchased directly from building demolition sales, from salvage contractors and used materials dealers. Daylighting Design Building occupants place a premium on natural light and a view to the exterior. If carefully admitted and controlled, daylight enhances the visual quality of interior spaces, and offers many psychological benefits that are difficult and expensive to replicate with electrical lighting. Natural light has inherent variability and unique spectral qualities that reveal and highlight interiors. Providing naturally lit interiors has been shown to increase occupant satisfaction, lower absenteeism, and improve worker productivity and retail sales. Locate the building toward the southwest, south, or west sides of the site to provide shade for lower floors from neighboring buildings. Orient the building with the short wall facing west or southwest for the least solar gain in the summer. A car share program that works to reduce number of cars on roads. Idea = use a car when you need it, makes more use of vehicles/space. Is regarded by ecologists and urban planners as one of the most comprehensive forms of ecological planning/preservation. Since water systems, provide the veins to almost all the worlds natural ecosystems, their importance is paramount. Working around these systems and ensuring their protection when designing cities provides a good basis from which truly 'green' design can emerge. Watershed management is the process of creating and implementing plans, programs, and projects to sustain and enhance watershed functions that affect the plant, animal, and human communities within a watershed boundary. Areas of concern include; water supply, quality, stormwater runoff, and water right. Retention basin: is a type of best management practice (BMP) that is used to manage stormwater runoff to prevent flooding and downstream erosion, and improve water quality in an adjacent river, stream, lake or bay. Sometimes called a wet pond or wet detention basin, it is essentially an artificial lake with vegetation around the perimeter, and includes a permanent pool of water in its design. A percolation trench also called an infiltration trench, is a type of best management practice (BMP) that is used to manage stormwater runoff, prevent flooding and downstream erosion, and improve water quality in an adjacent river, stream, lake or bay. It is a shallow excavated trench filled with gravel or crushed stone that is designed to infiltrate stormwater though permeable soils into the groundwater aquifer. Ecological paint: Research is proing that conventional paint is in fact very harmful to the environment, and also can be the source of negative health effects such as allergies, hormone mimics, toxicity etc… ecological paints use natural compounds that are much less harmful to the environment and your health. Natural earthen floors: Earthen flooring is nothing more than what it sounds like — humble, natural earth compacted with straw or other fibers and stabilized with various natural oils to form eco-friendly high-quality flooring. These floors are easy to clean, comes in a variety of textures, colors, and materials. It can be installed over nearly any subflooring, it integrates well with radiant heat systems and it’s one of the cheapest flooring methods either conventional or green. Computer weather models To better understand the impacts of climate change, scientists from the National Center for Atmospheric Research recently completed a 1,000-year run of a powerful new climate-system model at Berkeley Lab’s National Energy Research Scientific Computing Center (NERSC). The scientists ran the simulation for more than 200 uninterrupted days on NERSC’s Seaborg supercomputer. Accurately predicting global climate change demands complex and comprehensive computer simulation codes, the fastest supercomputers available, and the ability to run those simulations long enough to model century after century of the global climate. Use Natural systems data Chhaya 2.0© is an Excel-based design tool that helps designers optimize glazing size and orientation, shading and natural ventilation to extend the period that the building can run passively. Using TMY2 weather data and a series of matrices, Chhaya’s interactive features allow users to see instantaneously the effects of changing window sizes, shades, and ventilation rates. These features can give architects the information they need to assess and optimize a building’s heat gain and glare control, two factors that ultimately affect the need for cooling and electric lighting. The shading information from Chhaya can be added to a Google SketchUp model and imported into various daylighting analysis programs such as AGI 32. Green walls can be divided into two groups. 1) Green facades: a wall designed to support plant life. Usually climbing plants. Live: made up of pre vegetated panels or fabric mesh systems which are attached to a structural wall or frame. The modular panels are composed of polypropylene plastic containers, geotextiles, irrigation systems, a growing medium and vegetation. 'Active walls' are a relatively new, experimental concept in which a living wall is paired with a building's air circulation system. Fans draw air through the wall and then circulate the air throughout the building. Air drawn through the living wall is filtered of pollutants by microbes existing in the plants root systems. A variation of this concept are active walls that are kept behind glass to create more predictable airflow effects than inactive walls. 'Inactive walls' have no mechanized air circulation. Instead, they are kept open to promote as much free air circulation as possible. Green walls contain many plants that remove pollutants, but the more important criteria in selecting the fauna is whether it provides a suitable environment for microbes. As air is drawn through the wet wall material, contaminants in the air are transferred to the water and attacked by microorganisms that live in the wall among roots of plants. The airborne contaminants become the microbe's continual food supply. After pollutants have been digested several times they become non-toxic. Diversity is critical to the effectiveness of a green wall. If a new pollutant is introduced, the diversity of the system makes it more likely that there will be an organism to metabolize it. As the quantity of a pollutant is increased, so is the food supply for the organisms that can digest the pollutant, and the organisms multiply to neutralize the problem. At the same time as the microbes are digesting pollutants the green plants in the wall continually convert carbon dioxide (CO2) that mammals such as humans exhale, to oxygen (O2), which we require to breathe. The cleaning and re-oxygenation of the air reduce the ventilation needs of the building and save energy. The air and water circulation for the wall is controlled by the mechanical systems mentioned in the green wall composition section of this page (see diagram on right). Green walls are more self-sufficient than most air filters because they break down contaminants instead of merely collecting them. They do, however, require maintenance by a horticulturist approximately once a month depending on the volume and complexity of the system. For example, if you have a high-order system, maintenance must be more frequent, as you have to feed fish and salamanders to supplement their diet. A small inactive green wall may only require maintenance every two months. A computer-controlled drip system will keep the wall wet and water that trickles to the bottom will collect in a small pool to be used again. Water use will be monitored to compare the actual use to theoretical. One pass through the green wall was determined by sensors to have removed up to 80, 50, and 10 percent of each compound respectively. This is as good or better than the performance of a standard ventilation system. More impressively, after the second pass, the amount of the compounds remaining in the air was below the detectable level (Young, 1998). Researchers have continued to improve on these results with the use of new plants and materials, and have also shown that the contaminants are broken down by the green wall and do not collect in the system. Green walls can provide needed humidification to a dry building and improve the health of building occupants. They also seem to have psychological benefits, and have been linked to decreases in employee stress, ailments, and absenteeism (Lohr, 2001, Plants for People, 2002). This is currently an area of research to determine if the effects last over a large time period. Plants are swapped out if they fail to thrive. Each wall has a different plant profile depending upon its exposure and the local environmental conditions. The IL Centre’s biowall has been in operation for over a year, and a balance has been achieved with certain plants but not others. The wall prefers leafy ferns; hibiscus was tried in the wall and failed, but orchids have done quite well. http://www.wsu.edu/~lohr/hih/productivity/udies on the benefits of plants. A concrete retaining wall is disclosed on which flora can be cultured and a method for constructing the same. The retaining wall has a steel skeleton constructed with basal H-beams, aerial H-beams, L-beams, structural steel tubes and steel plates. 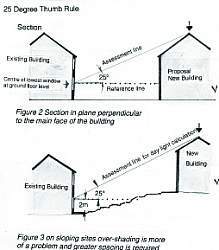 The basal H-beams and the aerial beams are arranged in a direction parallel with the earth's surface and at a significant angle to the earth's surface, respectively, at such space intervals and dimensions that the retaining wall structure has sufficient bending resistance to overcome active earth pressures. The L-beams, the structural steel tubes and the steel plates are provided as reinforcements between the H-beams. Watertight concrete is applied to the basal H-beams. Wire mesh is attached to the aerial H-beams, the L-beams, the structural tubes and steel plates. The wire-mesh-mounted structure is coated with water-permeable concrete to form a stepped or embossed external surface. The water-permeable concrete is covered with artificial greening soil, which allows the growth of flora therein. Current Attempts at entirely Green Cities. relationship between buildings will consider shading for cooling. wastewater is purified and recycled back into the cities water system. powered largely by solar and biofules. uses a wall layout, drawing from traditional urban history. buildings no taller than 5 stories. work with existing water systems in the landscape, clean it to support life in the city. implement a network of high tech organic farms. work with existing geology –not much solid land therefore reduce building heights. use ideas of Chinese fishing villages to create a complete water system. –designed canals which filter into wetlands, -designed to withstand a 1000 year flood. co-ordinate green energy sources. –power plant – incinerator –which uses local waste (rice husks). Heat from burning husks > pushes steam turbine > generate electricity. hollow out nearby hill and make them massive plant factories (with solar lighting (LED) inside –has been proven to yield 6 times as much produce as conventional farming. transport/cargo trucks are forced to park at consolidation warehouses and transfer goes to zero emissions trucks. plan landscaping to persuade the client to twist city grid slightly away from NS axis. expensive large sale energy plant will be produced, initially and to help offset costs excess electricity can be sold into the existing shanghai power grid. Energy flows move the world’s processes. Understanding how they work is the first step to understanding how we can manage them. In planning a new city, planners can look at the energy needed, and start to think about sources, and ways of managing them. Everything must be broken down to energy units, but the scale at which this analysis is done is debatable. Understanding daily energy consumption for a household, is very different from understanding the total amount of energy spent on transporting the new Zealand kiwi in the local grocery store. But both scales should be considered should we start to move forward with developing a strategy for real sustainable cities. -city layout should make use of natural elements –solar, geothermal and wind energy should be influencing factors. Temperature inversions have been linked with the cooling of Earth’s surface by long-wave radiation of heat into space on clear nights. The heat of the sun has historically been mitigated by the absorption of the sun’s energy by constituents of air above Earth, and the cooling of lower-level air by the Earth’s surface. This lower-level air cooling, land and sea breezes, and lack of horizontal wind motion all contribute to uneven solar heating. Building design and orientation should therefore maximize the benefit of prevailing winds. Long, narrow floor plans, with the long axis oriented east to west, minimize heat gain and facilitate the passage of air throughout the building. Open spaces are of paramount importance, and open-plan spaces, as well as walls that are not perpendicular to the airflow, can maximize circulation. Air should be allowed to circulate through the room in a non-linear fashion. Care must also be taken to avoid a wind tunnel effect, which can be disruptive. Cross-ventilation and rising hot air can be harnessed by the use of ridge vents, slatted ceilings, high-level louvers – left open in the rain, allowing airflow throughout the house – and strategic window placement, perhaps aided by the use of ceiling fans. 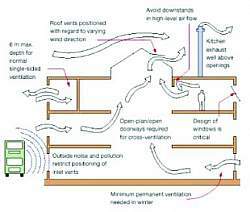 However, during the day, natural ventilation should be avoided unless a cooling system is in place, to lower the temperature of hot air coming through the system. Horizontal openings near ground level are more effective than vertical ones. Clerestory windows at high levels can naturally cool spaces by releasing warm air and pulling in colder air from below. Also integration with outdoor spaces – e.g. verandahs – also encourage airflow between indoor and outdoor space. Vegetation can also modify the external wind direction to enhance ventilation and cool incoming air. 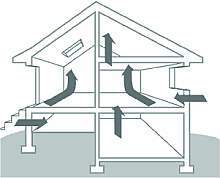 stack effect: often referred to as chimney effect; derived by differences in air density which can be used to induce air movement throughout buildlings.Orientation of intake opening up to the wind is very important. • Timbers should ideally be sourced locally. materials to a minimum (e.g. PVC, copper). • Big, insulated roofs keep the heat out and the sun off the windows and walls. “Daylighting,” U.S. Department of Energy, Energy Efficiency and Renewable Energy. Local Development Framework – Residential Design Guide, Watford Borough Council. The U-Value is a measure of the thermal conductivity of a window: The lower the Uvalue, the better a window is at limiting heat losses. A single-glazed window has a U value of about 6 W/m 2-K, while triple-glazed windows have U-values between 1 and 2. Coolness Factor Ratio of the visible transmittance to the shading coefficient. If the value is greater than 1.0, the glass is considered "selective" and will offer better performance in a hot climate than a similar glazing with a lower coolness factor. The shading coefficient describes a window's ability to transmit solar heat gain, relative to the transmittance of a 3-mm, clear single pane of glass. The shading coefficient is given as a unitless value between 0 and 1; the lower the SC the less solar heat it transmits. (The shading coefficient is being replaced by the "solar heat gain coefficient" which gives the fraction of incident energy that enters the space (with a value between 0 and 1). Daylight Autonomy Percentage of occupied time per year when target illuminance can be maintained by daylight alone. May be used to express the percentage of electrical lighting energy saved by a daylighting system. Visible transmittance is the percentage of visible light striking the glass that penetrates to the interior, expressed as a number between 0 and 1. Daylight Availability Daylight illuminance from sun and sky at a particular site that impacts a building exterior on a horizontal, vertical, or other light-admitting surface. Spectral selectivity is a window's ability to transmit visible light while reducing solar heat gain, and is expressed by a number between 0 and 1. Daylight Factor Interior horizontal daylight illuminance expressed as a percentage of the horizontal daylight illuminance available to an unobstructed site. The coolness factor is the ratio of the visible transmittance to the shading coefficient. If the value is greater than 1.0, the glass is considered "selective" and will offer better performance in a hot climate than a similar glazing with a lower coolness factor. Daylight Factor Dot Charts A series of circular formatted charts for overcast and clear sky conditions. Each chart contains a pattern of dots randomly distributed as a function of sky luminance and cosine corrected for the angle of incidence. When overlaid onto a site obstruction diagram and an interior room drawing, allows estimation of light available to a particular interior point as a fraction of the light available to an unobstructed site. Effective Aperture (EA) Measure of the light-transmitting ability of a glazed window aperture. Product of glazing visible transmittance and the ratio of window-to-wall area. Lighting Power Density Maximum lighting power per unit area of a building allowed by code according to the classification of space function. Light-to-Solar-Gain (LSG) Ratio of visible light transmitted to solar heat gain. A value below one means the glazing transmits more heat than light. A value above one means the glazing transmits more light than heat. Spectrally selective glazing is characterized by having a high LSG value (=1.25). Luminous Flux Rate Flow of radiant energy, measured in lumens (lm). Nomogram Graphical assessment tool consisting of a three coplanar curves, each graduated for a different variable so that a straight line cutting all three curves intersects the related values of each variable. No Sky Plot Plan Drawing that shows the extent of daylight penetration by dividing the work plane into two parts: the part from which the sky can be seen directly, and the part from which it can't. 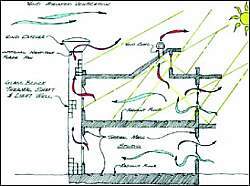 Passive Solar Heating Strategy Use of the sun's energy for heating a building interior. Shading Coefficient A window's ability to transmit solar heat gain, relative to the transmittance of a 3-mm, clear single pane of glass. The shading coefficient is given as a unitless value between 0 and 1; the lower the SC the less solar heat it transmits. (The shading coefficient is being replaced by the "solar heat gain coefficient" which gives the fraction of incident energy that enters the space (with a value between 0 and 1). Spectral Selectivity A window's ability to transmit visible light while reducing solar heat gain. Expressed by a number between 0 and 1. Sun Angle Calculator Solar shading design tool consisting of a series of sun path charts with a profile angle and incident angle overlay. Used for determining solar position at a specific latitude and time, and the associated profile angle relative to a particular facade orientation. (Originally produced by Libbey-Owens-Ford up until 1974, but now available from the Society of Building Science Educators. Visit www.sbse.org/resources/sac/index.htm. Target Illuminance Established minimum illuminance based on space function, task, and occupants' age; measured in lux (lx) or footcandles (fc). U-Value A measure of the thermal conductivity of a window: The lower the U-value, the better a window is at limiting heat losses. A single-glazed window has a U-value of about 6 W/m 2-K, while triple-glazed windows have U-values between 1 and 2. Visible Transmittance Percentage of visible light striking the glass that penetrates to the interior, expressed as a number between 0 and 1. Published April 1995. Reprinted with permission from the International Association for Energy-Efficient Lighting. All rights reserved. complex glazing/shading systems: broadly defined group of technologies resulting in the manipulation of light, incorporating angular placement, diffusing light, and including solar control films, transparent insulation, and both fixed and variable blinds (e.g. Venetian or honeycomb blinds). They often layer concepts, maximizing the thermal – conduction and convection – and optical properties – visible, solar, and infrared light – of each. Compact fluorescent lamps: light bulbs that produce light by driving electric current through a tube containing argon and a small amount of mercury vapor, generating ultraviolet light that activates a fluorescent coating – called phosphor – in the tube, thereby emitting visible light. "Best Inventions of 2008: Thin-film Solar Panels." Time Magazine, 2008. Modeled on photosynthesis, this process significantly reduces cost and allows the possibility of hydrogen power as a primary fuel source Graber, Cynthia. "Solar Powered Fuel Cells." Scientific American Online, August 1, 2008. 5. control mechanism: regulates amount of sunlight entering collector. 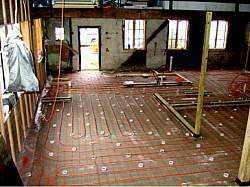 radiant heating: system of heat delivery via infrared radiation directly to floor (radiant floor heating) or to panels in the wall or ceiling of a building. As there are no ducts, the system loses minimal heat. tankless water heater: heats water without the use of storage tank, eliminating heat loss. On average, 22% more energy efficient than gas-fired storage-tank models. However, hot water is not delivered instantly, and these heaters are both expensive and difficult to maintain compared to standard heaters. cellulose insulation: the oldest form of building insulation, is comprised of fibrous plant parts. 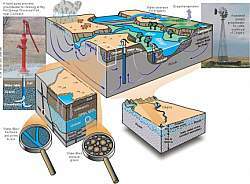 groundwater: one of the oldest means of acquiring fresh water in landlocked areas, and still a primary source of water in many countries as 20% of the world’s available fresh water. Modern well-digging technologies can provide consistent water supply to homes. climate wetlands: to prevent freezing, there exist a few options for reed beds in cold climates; computer modeling suggests that wetlands can be insulated to -20 degrees Celsius. Rainwater roof harvesting systems catch rainfall so that the water can be used for secondary purposes such as irrigation and household toilets. Storage tanks are typically stored underground, and if water is to be used for human consumption, it is treated with additional filtration and ultraviolet treatment. Greywater reuse: repurposing of wastewater not containing organic matter or toxins to be used, after a filtration process, for secondary purposes, such as irrigation. In individual homes, greywater can be diverted from clean water – and so-called ‘black water,’ which contains toxic matter – at several levels, from individual appliances to the entire home. 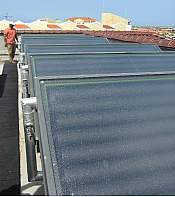 flat-plate solar collectors: most common type of solar collector; an insulated metal box with glass or plastic cover and dark-colored absorber plate can heat liquid or air at temperatures under 180°F. High-efficiency geothermal heat pumps for homes…poss in mountains? 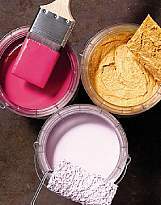 material is a versatile material that can be dyed using natural pigments. Technically a form of grass rather than a tree, it is considered a sustainable material because it can be harvested after only three years of growth. Squak Mountain Stone: fibrous material comprised of cement (30%), recycled paper, recycled glass, and coal ash. Available in hand-cast slabs or tiles, the limestone-like material can be used as an alternative to stone. Squak Mountain Stone web page, http://www.squakmountainstone.com. Image source: Squak Mountain Stone web page, http://www.squakmountainstone.com. 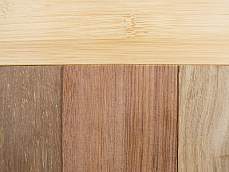 Wood mosaic tile: made from reclaimed lumber, recycled wood, or locally-grown plants, and sealed with low-VOC urethane, this is a more sustainable substitute for similar traditional materials. Solé solar tile: solar roofing tiles that mimic Tuscan terracotta roofing tiles but contain amorphous silicon solar cells. In this roofing scheme, 20-25% of the average roof would be covered with these tiles, the remainder with clay roof tiles in the same style. Underground recycling systems have become popular in the UK and Ireland, and are able to sort garbage in sanitary and protected facilities underground. Possibilities exist as well to use the system for compost and other forms of waste. Earth’s surface is unevenly heated as different topographies absorb the sun’s heat. Winds help to shift the balance. Wind propels blades in wind turbines, which are connected to an electric generator (many different types exist); clusters of wind turbines are often referred to as wind farms. Electricity from wind farms go to national electrical network. Aguçadora Wave Park, off the coast of Portugal, consists currently of three wave machines, generating enough electricity for 1,500 households; plans eventually to install 25 machines. Advanced turbine technology mitigates some of the problems and negative environmental effects: loss of marine life, decreased water quality, CO2 emissions. In October 2009, European leaders' committed to an 80-95 percent reduction in CO2 emissions by 2050; Roadmap 2050 was commissioned to determine how these emissions reductions goals could efficiently be met. The technical and economic analyses of the report outline why a zero-carbon power sector is required to meet this commitment and illustrate its feasibility by 2050 given current technology. AMO contributed to the content development through the production of a graphic narrative about the geographic, political, and cultural implications of a zero carbon power sector. The graphic narrative shows how through the complete integration and synchronization of the EU's energy infrastructure, Europe can take maximum advantage of its geographical diversity: if the Roadmap is followed, by 2050, the simultaneous presence of various renewable energy sources within the EU will create a complementary system of energy provision ensuring energy security for future generations. Roadmap 2050 was commissioned by the European Climate Foundation, and the full report, published in April 2010, includes extensive technical, economic and policy analyses conducted by five leading consultancies: Imperial College London, KEMA, McKinsey & Company, Oxford Economics and AMO. Raphael Menard, from Elioth Iosis consultants, comments his enrgy ideas and guidelines to provide assistance for sensible design and use. Why not considering solar power tower for urban uses, especially as heating system ? in collaboration, by the why factory at delft university of technology.